Finding the right operator for your private jet can pose quite a challenge. The selection is important, because he will not only manage the flight organization, finances, maintenance and administrative aspects; he will especially ensure that the safety regulations and legal provisions are met. He will, moreover, support you with the jet’s registration and to keep the cost of taxes and fees as low as possible. It is advisable to create a checklist of the services that are important to you before approaching an operator. This makes it much easier to ask the right questions and to find the best suiting operator. The typical duties include the maintenance of the jet, as well as managing all administrative tasks – from the registration through insurances and taxes to the selection of the pilots and crew – and of course administrational facets of operation of the aircraft. 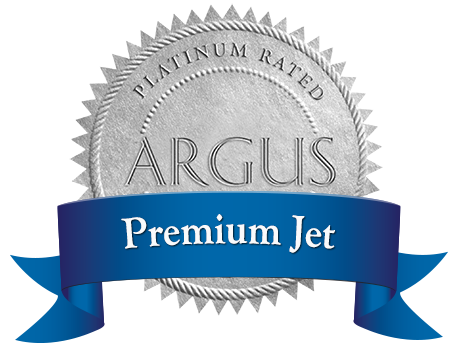 You should request offers from a number of different operators before purchasing your jet. When comparing the offers, it is important to look at both the price and how they communicate with you. You will have a lot of contact with the operator of your choice, which is why a good interpersonal relationship is crucial. Certainly, an experienced operator is an asset. Yet aspects such as dynamics, professional appearance, transparency and openness to all kinds of questions are essential too. Same as “in the airlines” safety is of highest priority in the field of business aviation. Ask the operators how exactly they comply with the high safety standards and what else they do to guarantee your safety and that of your jet. Flight safety depends entirely on the pilots, which is why a good operator works together with you in selecting and hiring a crew that complies with the regulations and meets your expectations. Regular training sessions for critical situations, emergency landings and difficult weather conditions are vital to guarantee the highest possible levels of safety. The infrastructure on the ground is important too when it comes to safety in the air. This is why it is necessary for the operator to regularly invest in control systems and employees education. In addition to safety, the operator’s customer service on the ground as wells as during flight plays a very important role. After all, traveling with your private jet should not only be fast and efficient, it should also be comfortable. Usually you can tell how important customer service is for the operator when you make initial contact. Look closely whether your contact person makes an effort to understand you and your concerns, and if they are willing to fulfill more extraordinary requests. At what airport the operator is located is not as important as it may initially seem. Nowadays it is much more important that you are able to reach the operator at all times and that the service fulfills or even goes beyond all your requirements and needs. Not all operators fly to destinations around the world. This aspect is not so important if you only want to travel within Europe. If, however, you regularly fly intercontinental routes, you should find out in advance whether or not the operator operates worldwide. The right insurance is a must in order to avoid any unpleasant surprises. The most favourable option is if the operator includes your private jet in his fleet insurance. These are tailored to the respective needs by the appropriate partners and make sure that all legal requirements are met, that the scope of coverage is flexible, and that the best possible conditions and premiums are guaranteed. A transparent way of working and the disclosure of the accounts show that an operator takes his clients seriously and wants to meet them at eye level. It should be self-evident that the operator shows you the original bills he paid for you – without you having to ask. A corporate open book policy shows that the operator has nothing to hide and that he is transparent with his accounts. It is extremely important that you pay the same diligent attention to choosing your operator as you do to selecting your private jet. It is advisable to create a checklist that includes all of the issues important to you. Furthermore, general facts such as the compliance with safety standards, regular crew training sessions and insurance management should be a crucial part of your decision.